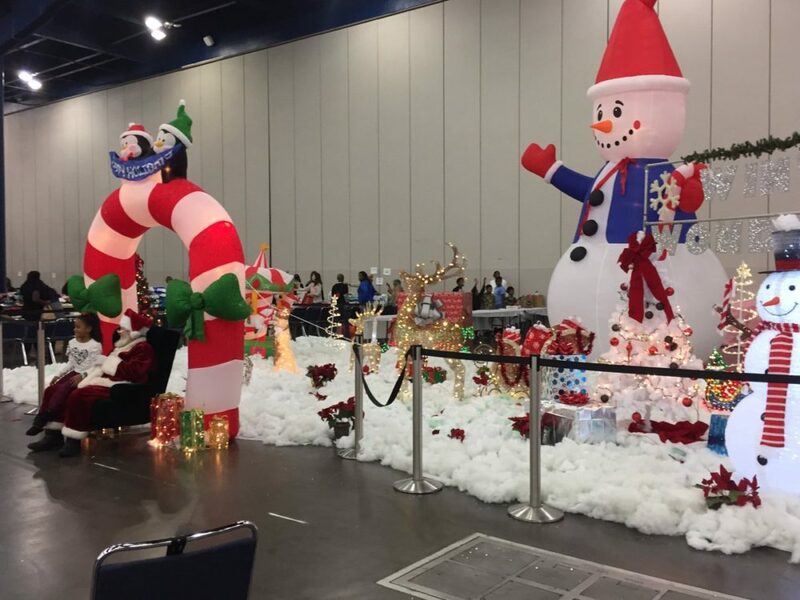 The George R. Brown Convention Center, located in downtown Houston, that sheltered thousands of evacuees after Hurricane Harvey has opened its doors again for a Christmas feast. KHOU reports that thousands of people attended the annual Christmas Eve feast Sunday at the downtown Houston convention center . Volunteers handed out plates of turkey, stuffing and yams. Guests could also receive bags of canned food, public health screenings and Christmas presents for children. Houston, the nation’s fourth-largest city, and much of the Texas Gulf Coast are still working to recover from the devastating August storm.